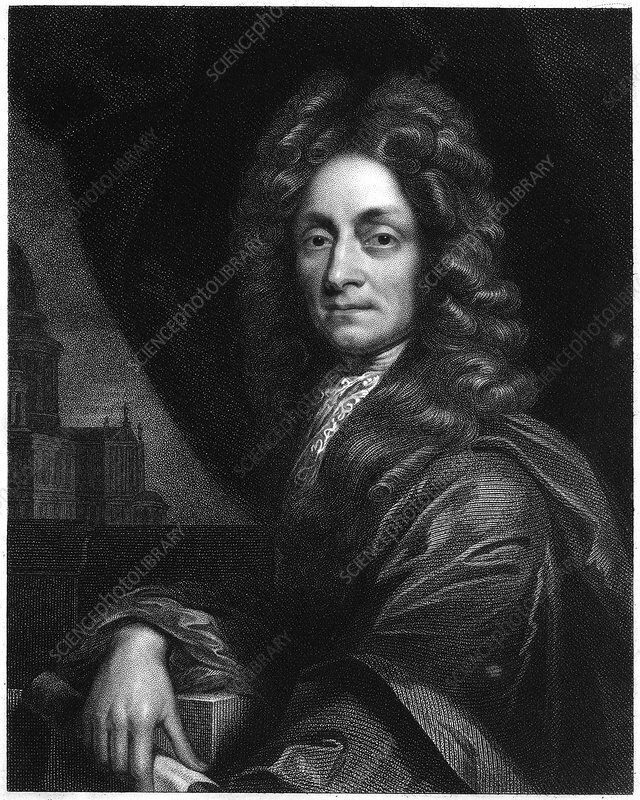 Christopher Wren, English architect, mathematician and physicist, 1833. Wren (1632-1723) is best remembered for his rebuilding of St Paul's Cathedral and numerous other churches destroyed in the Great Fire of London (1666). Among his other works are the Custom House, Temple Bar, Chelsea Hospital, Greenwich Hospital, Royal Observatory Greenwich and the Ashmolean Museum at Oxford. From The Gallery of Portraits Vol. I by Charles Knight.